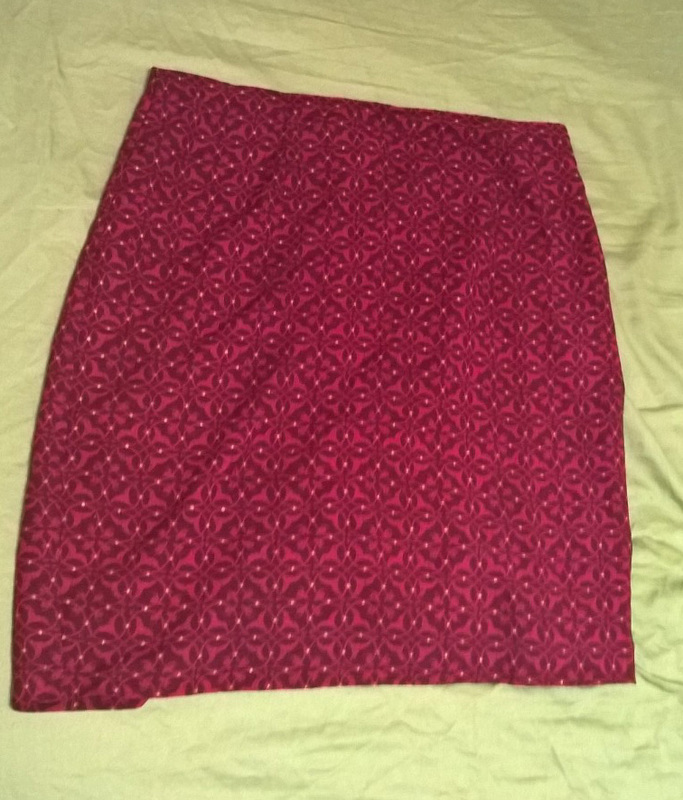 I liked the deep maroon color and the softness of the rayon fabric, and the double layers meant it was a lot of usable fabric. 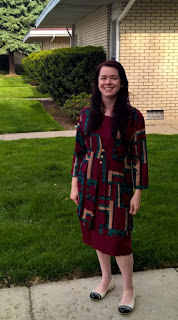 This refashion only used some of the under layer of the dress, so I still have more to make another coordinating piece. The rayon fabric means this skirt is very comfy. I used an invisible zipper and bias tape to finish the skirt. You can see more about it here on my blog. I like the fabric too. Cute new skirt. Thanks! The rayon is so soft, too, it is very comfy.